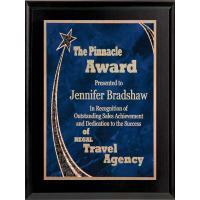 An economical alternative to hardwood, these plaques come in a variety of finishes and sizes, including walnut, cherry and even solid white. 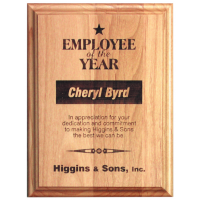 High quality solid American red alder plaque in your choice of six sizes, directly laser engraved with your message and logo. 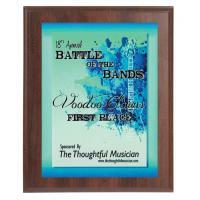 High quality solid bamboo plaque in your choice of four sizes, laser engraved with your message and logo. 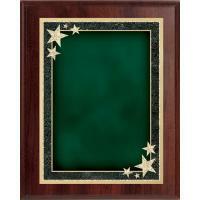 High quality black veneer plaque in your choice of four sizes with a classic black brass engraving plate featuring a beautiful florentine border. 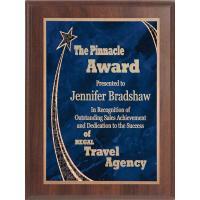 High quality black veneer plaque in your choice of four sizes and four colors of our standout Rising Star plate. 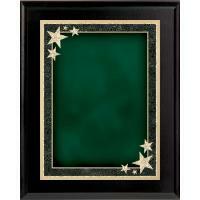 High quality black veneer plaque in your choice of four sizes and four colors of our popular Starburst plate. 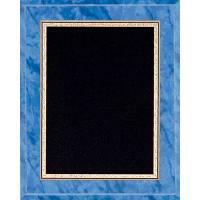 High quality bright marble finish veneer plaque in your choice of four sizes with a classic black brass engraving plate featuring a beautiful florentine border. 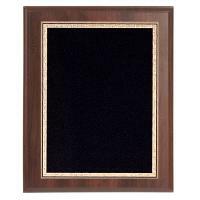 High quality cherry veneer plaque in your choice of four sizes with a classic black brass engraving plate featuring a beautiful florentine border. 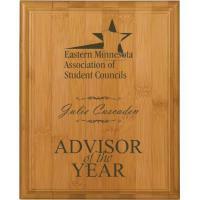 High quality cherry veneer plaque in your choice of four sizes and four colors of our standout Rising Star plate. 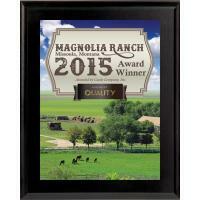 High quality cherry veneer plaque in your choice of four sizes and four colors of our popular Starburst plate. 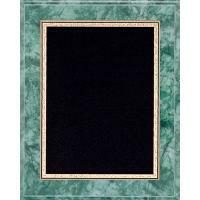 High quality emerald green marble finish veneer plaque in your choice of four sizes with a classic black brass engraving plate featuring a beautiful florentine border. 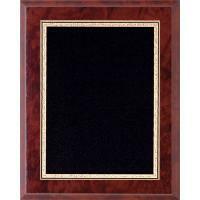 High quality solid red alder plaque in your choice of four sizes with a classic black brass engraving plate featuring a beautiful florentine border. 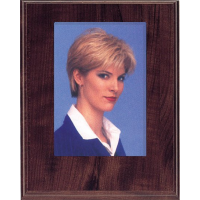 High quality 8x10 cherry veneer plaque with an area to slide in 5x7 photo portrait. Acrylic cover over photo. 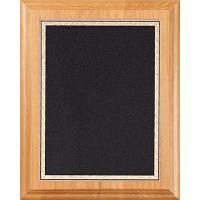 Includes engraving plate below photo. 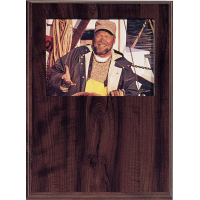 High quality 9x12 cherry veneer plaque with an area to slide in 5x7 photo portrait. Acrylic cover over photo. 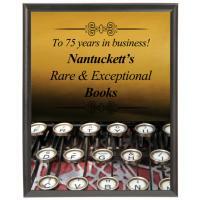 Includes engraving plate below photo. 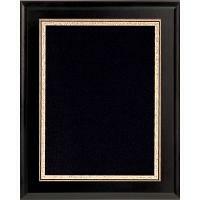 High quality ruby red marble finish veneer plaque in your choice of four sizes with a classic black brass engraving plate featuring a beautiful florentine border. 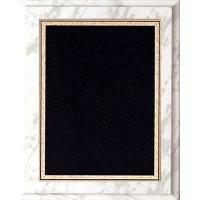 High quality white marble finish veneer plaque in your choice of four sizes with a classic black brass engraving plate featuring a beautiful florentine border.